Home / Ward Goodman help The Botanical Candle Co. keep its flame burning bright / 1. 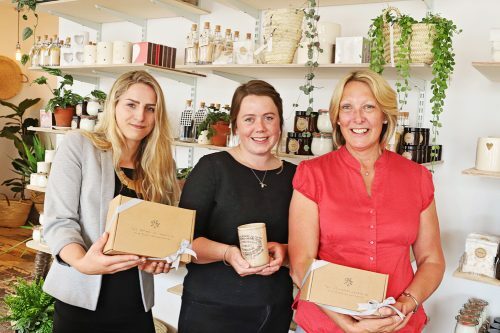 L-R_Jessica Whittaker, Apprentice, Botanical Candle Co; Amalia Pothecary, Director, Botanical Candle Co; Teresa McGuire, Client Service Manager, Ward Goodman. 1. L-R_Jessica Whittaker, Apprentice, Botanical Candle Co; Amalia Pothecary, Director, Botanical Candle Co; Teresa McGuire, Client Service Manager, Ward Goodman.